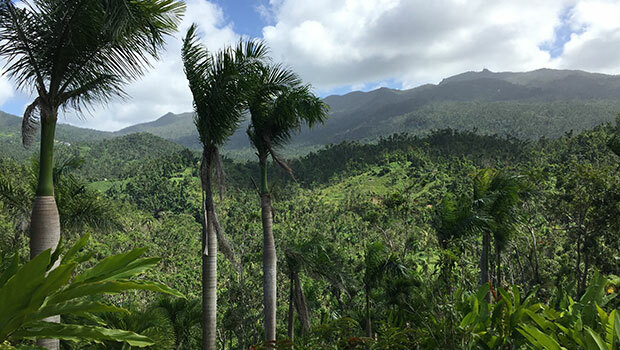 Surrounded by heliconias, El Amor (Love) is named, as Dante wrote, for “the love that moves the sun and the other stars.” The treehouse features 169 square feet of interior space and two 98-square-foot, covered balconies, one with an emblematic view of El Yunque rainforest. The private bath is on the main level and is reached by a footbridge from one of the balconies. It offers a slate interior, high-end fixtures and a rain shower with a rainforest view.